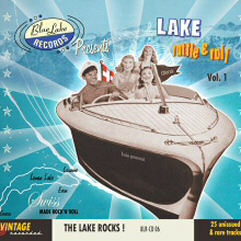 The first Blue Lake Records sampler presents 25 tracks, among them 19 have never been issued before and 6 had only been issued on vinyl or custom CDRs. 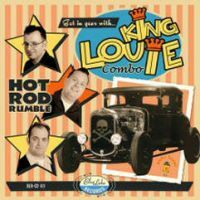 Most of the bands that happen to record at the "JCR recording service" between 1997 and 2006 are represented in this record, in a broad range of vintage rock'n'roll styles. For the first time promising bands like Kick'em Jenny, Nero Schwarz & The Black Noir, Jerry & The Rockets or Ray Gibson & The Flattop Cats appear in an official release, alongside internationnaly confirmed bands and lesser known bands. This record, wanting to be a tribute to all the Lake rockin' scene , also features an 8 page booklet with color pictures as well as a video slide show with more of 260 pictures taken at events around the Lake. 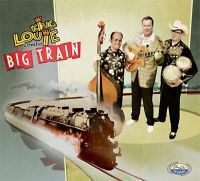 It was launched on February 25th, 2006 at the Taco's Bar in Lausanne at a fantastic no stop live festival, featuring 6 bands and 5 guests who played for free to support it. So let's support yourself the scene and get one too !